MWC 2011: Will The Samsung Galaxy S WiFi Succeed? Looking to buy an Apple iPod Touch? You may want to reconsider. 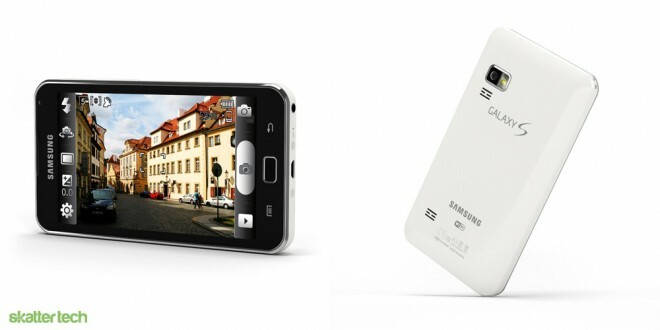 Last month, Samsung revealed their intentions to launch a Galaxy S Player at CES 2011, but they failed to provide any specifics. Things changed yesterday when the company unveiled the Galaxy S WiFi 4.0 and the Galaxy S WiFi 5.0 portable entertainment devices at the Mobile World Congress conference. While both are contract-free and Android-powered, the only varying factor is a 4 inch and a 5 inch display, respectively. When it comes to portable media players, it is hard to find a device that outdoes the iPod Touch. Many competitors have tried to outdo Apple, but none have come close. The reason? The popular iOS platform has over 350,000 apps and there are thousands of vendors who offer compatible hardware accessories. Most competitors attempt to introduce solutions with proprietary software which rarely manages to do anything more than playback media. Samsung is trying to bring change the Apple-dominated market with the Galaxy S WiFi which offers top-notch hardware, a trusted brand name, and the Android Marketplace to back it. According to the provided documentation, both models feature a 800-by-480 pixel WVGA LCD display. This means that the Galaxy S WiFi 4.0 has a higher density display while the Galaxy S WiFi 5.0 offers less pixels per inch. When it comes to battery life, the smaller model packs 1200 mAh of power and the larger one has 2500 mAh of juice. Surprisingly, both models remain just 9.9 mm thin. As for the remaining specifications, these two devices are nearly identical. If the specifications above were not clear enough, the Galaxy S WiFi lets users view photos, watch movies, and hear music, but that is just the start. The Android platform paired with wireless connectivity, a GPS, a touch screen, and two cameras makes more possible. For starters, customers will have access to nearly 230,000 applications from the Android Marketplace. Samsung even highlighted inclusion of VoIP capabilities through the popular Skype service. A future update to the application will probably even bring support for video calls. Although it doesn’t run on the newest Gingerbread v2.3 OS, the older Android v2.2 Froyo offers support for Adobe Flash and HTML5 content through the built-in web browser. Users will have access to social networks such as Twitter and Facebook apps as they would on a smart phone. 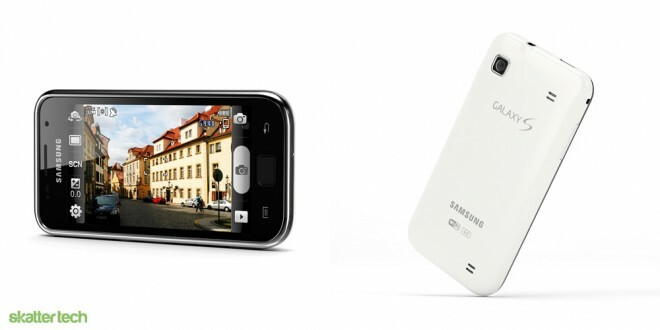 Although there is no 3G connectivity, the Galaxy S WiFi still works as a voice-guided turn-by-turn navigation system with the integrated GPS module and Google Maps which can now pre-fetch data. Qik also comes pre-loaded for letting people share live video streams with friends and family. With great support for playback of a variety of multimedia formats, some of which the Apple iPod Touch doesn’t offer, the Galaxy S WiFi has plenty going for it. The contract-free access to the Android platform and the nearly quarter million apps makes it even more exciting. Archos also offers a similar line up of competing Android-powered portable entertainment devices. The fate of the Galaxy S WiFi 4.0 and 5.0 will be pricing. If Samsung fails to match or beat the $229 price-point of the 8 GB iPod Touch, they will have a hard time making a case for their device. According to the press release, the 4 inch model will make its debut in the UK next quarter. Both models will head to other markets following that launch. Looks really cool, I would probably get one though I’m more interested in the Tab. Great article, just found this blog and I’m really happy that i did! 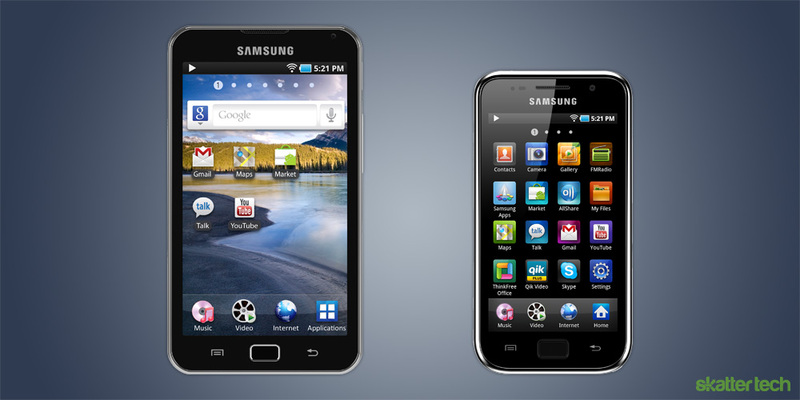 Galaxy S is the best smartphone around the world. Galaxy S is more than 10 million devices. iPhone 4 around 18 million devices. It is very great player.